Size: 6 x 9.25 ins. Description: [64pp.] Set in 12pt Centaur type. Printed on Barcham Green paper. Quarter bound in brown leather with printed textured paper over boards with black lettering to spine. Textured cream end-papers. 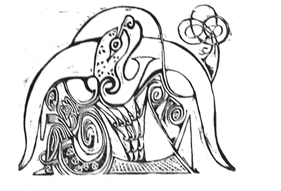 Illustrations: 11 wood-engravings by Nicholas Parry. No. of Copies: 70 numbered copies. Description: 52pp. Set in 16pt Poliphilus and Blado type. 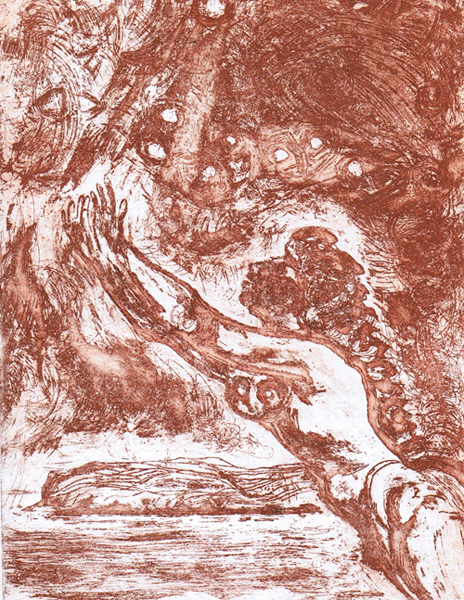 Printed on Chilham paper. Quarter bound in leather with Liberty patterned fabric over boards. 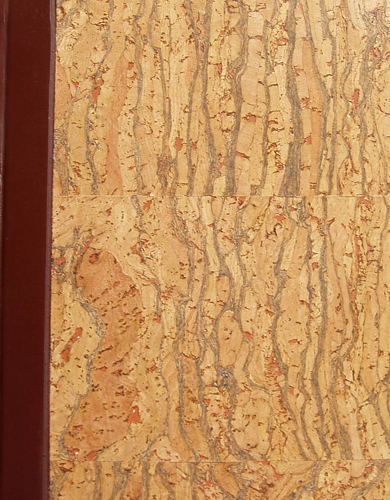 Marbled end-papers. Comments: Signed by the author and Nicholas and Mary Parry. 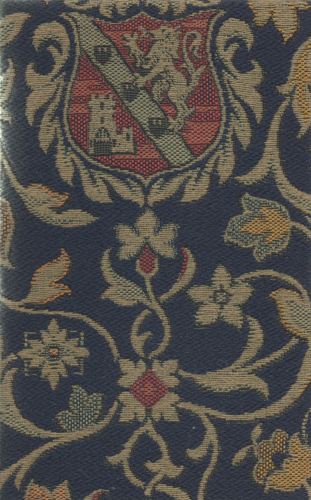 A copy has been seen bound in blue leather with a blind stamped design on the front cover. 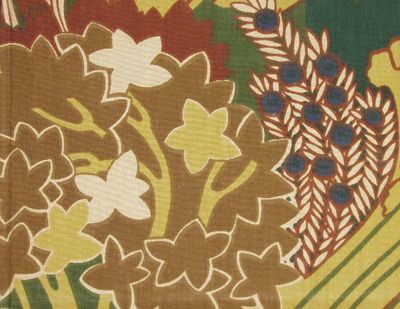 Another copy has been seen bound in full Liberty patterned fabric with plain brown endpapers. Some copies were issued in card covers. Size: 9.5 x 12 ins. Description: [64pp.] Set in 10pt and 12pt Old Style type. Printed on Medway hand-made paper. Quarter bound in dark brown leather lettered in gilt to the spine with cork over boards. Fawn textured paper end-papers. 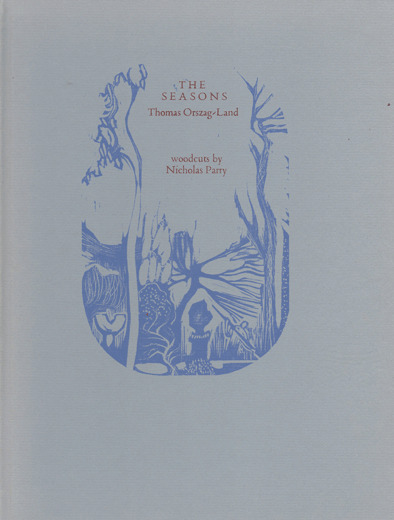 Illustrations: 8 wood cuts and linocut lettering on the title-page by Nicholas Parry. Comments: ISBN 0 906057 03 5. Signed by Nicholas Parry and John Porter. 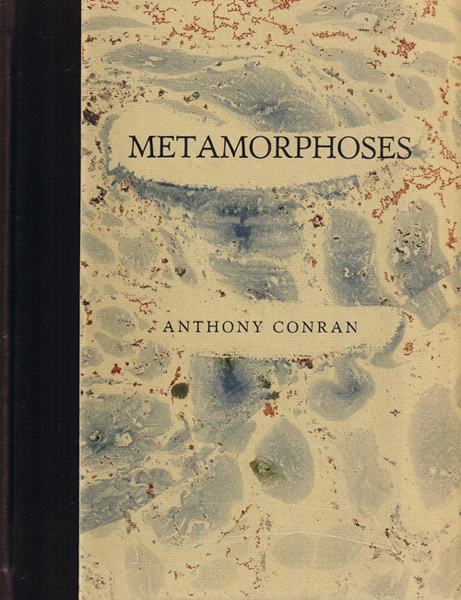 Another copy, bound in quarter grey leather, with different spine lettering and green marbled paper end-papers has been identified. Size: 8 x 10 ins. Description: 84pp. Set in S. B. 18pt. Verona type. Printed on Hayle Mill hand-made paper. Quarter bound in brown leather with printed marbled paper over boards with gilt lettering to spine. Mabled paper end-papers. Illustrations: 4 etchings in various colours by Nicholas Parry. Comments: Signed by Nicholas Parry and Anthony Conran. Size: 8 x 10.25 ins. Description: [36pp.] Set in 18pt Caslon type. Printed on Abbey Mills Greenfield paper. Bound in Liberty patterened fabric over boards. 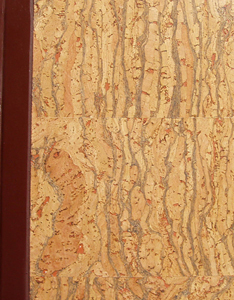 Marbled paper end-papers. Illustrations: 11 lino-cuts by Nicholas Parry, printed in shades of brown, blue and gray. 72pt Caslon caps cut in lino on title-page. Size: 10 x 8 ins. Description: [40pp.] Set in 16pt. 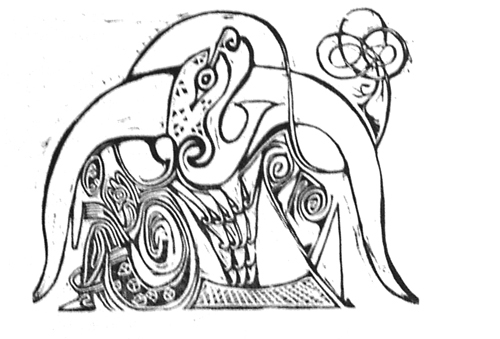 Polipholus and Blado type. Printed on Hayle Mill hand-made paper. Quarter bound in puple leather with cork over boards. Orange end-papers. Comments: Printed on a Wharfdale Bremner handpress. Signed by Nicholas Parry and Bill Griffiths. Size: 8 x 10.5 ins. Description: [22pp]. Set in 16pt Poliphilus and Blado. Printed on Glastonbutu Antique paper. 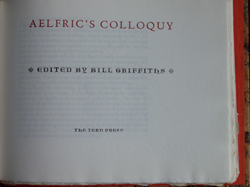 Bound in cloth covered boards with a printed label to the front cover and spine. Illustrations: Illustrated with line blocks from the original brush drawings by Josef Herman. No. of Copies: 130 numbered copies. Comments: Signed by Else Lasker-Schuler and Nini Ettinger. In 2007 a few copies were bound in blue printed card wrappers. Size: 7.25 x 14.75 ins. Description: [24pp.] Set in Delphin type. Printed on Glastonbury paper. Bound in wood grain designed cloth over boards with a brown leather spine with gilt lettering. Dark brown end-papers. No. of Copies: 95 numbered copies including 21 specials. Comments: Title-page states June, colophon states July. 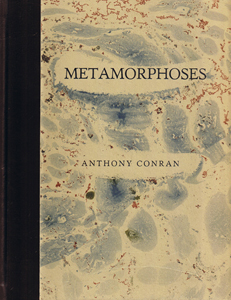 A copy has been viewed with marbled end-papers, dark brown leather spine, printed on paper 8.75 ins. wide. Signed by Nicholas Parry. Colophon states July. No. of Copies: 21 numbered copies. Comments: Signed by Nicholas Parry. Copies 1-3 on RWS paper; 4-21 on Chilham paper. Colophon states July. Description: [19pp.] Set in 19pt Verona type. Printed on Abbey Mills paper. Bound in cloth boards with a printed label to the front covers. Patterned green and brown end-papers. 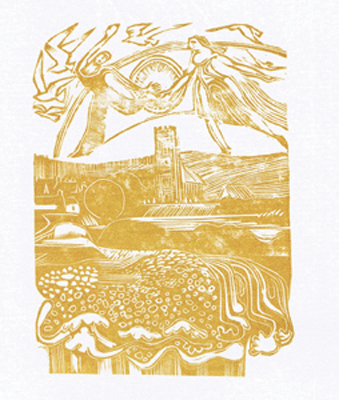 Illustrations: 5 wood and lino cuts by Nicholas Parry. Size: 7.5 x 10 ins. Description: [31pp.] Set in 16pt. Poliphus and Blado type. Printed on Glastonbury Antique paper. Bound in grey cloth covered boards with a printed design in blue and red lettering to the front cover and red lettering to the spine. Illustrations: 12 coloured woodcuts by Nicholas Parry. Comments: Signed by Nicholas Parry and Thomas Orszag-land. Description: [16pp.] Set in 14pt Caslon type. Printed on Zercall cream mould-made paper. Sewn. Quarter bound in dark pink paper lettered in black to the spine with marbled paper over boards, with printed label to the front cover. Pale brown end-papers. 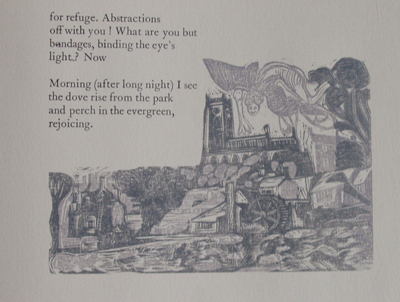 Illustrations: 4 wood-engravings by Nicholas Parry. No. of Copies: 230 numbered copies.